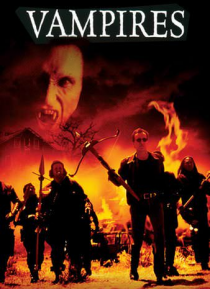 Ever since his parents were murdered by vampires, Jack Crow (James Woods) has had one purpose in life: putting stakes through bloodsuckers' hearts. With his battle-hardened crew of vampire killers and the assistance of the Catholic Church, Crow roams the New Mexico desert looking for undead lairs to annihilate. But he meets his match when, at a roadside motel, he comes face to face with Jan Valek … (Thomas Ian Griffith), a vampire kingpin possessed of incredible powers.